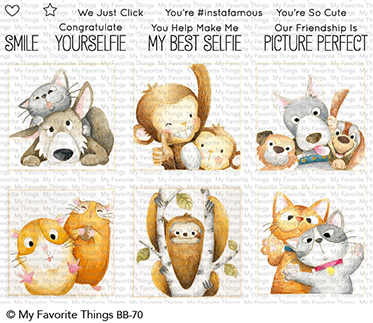 Expressing yourself with a silly selfie is a widely-embraced means of sharing your personality and why should we exclude our furry friends from the practice? 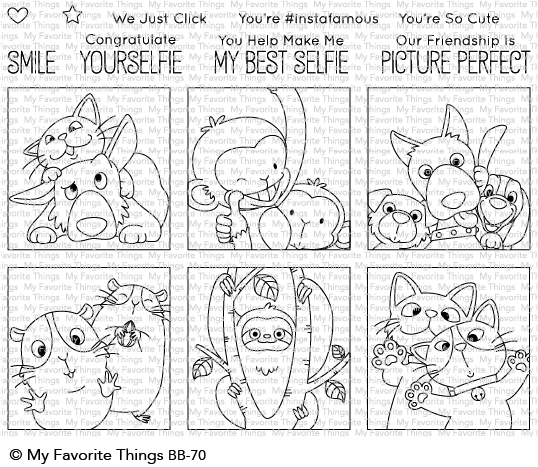 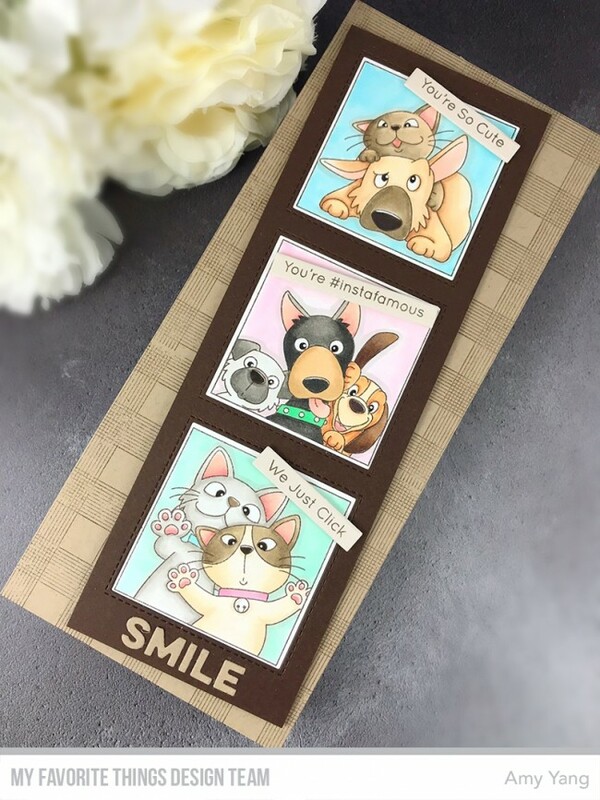 A mix of dogs, cats, monkeys, guinea pigs, and even a sloth are all represented in this endearing stamp set from Birdie Brown. 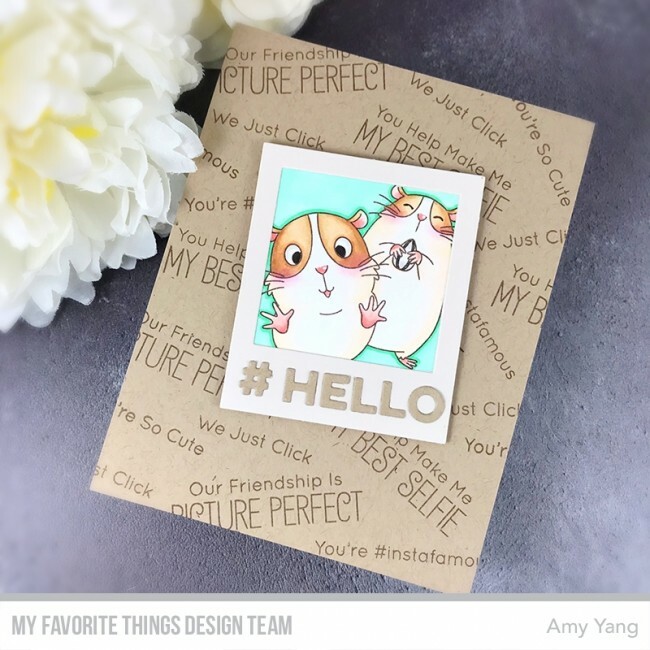 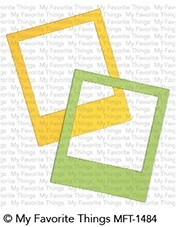 Pair with the Selfie Square Die-namics to frame the images or to create perfectly-sized die cuts that create a thin border around the outside line frame. 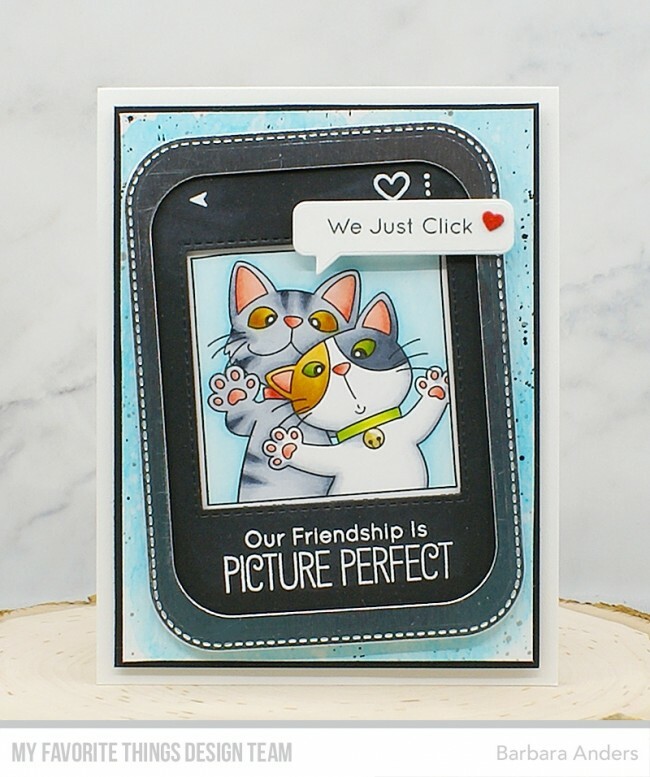 You can also use the Polaroid Shaker Frame to crop the image a bit, concealing the fine border around each image. 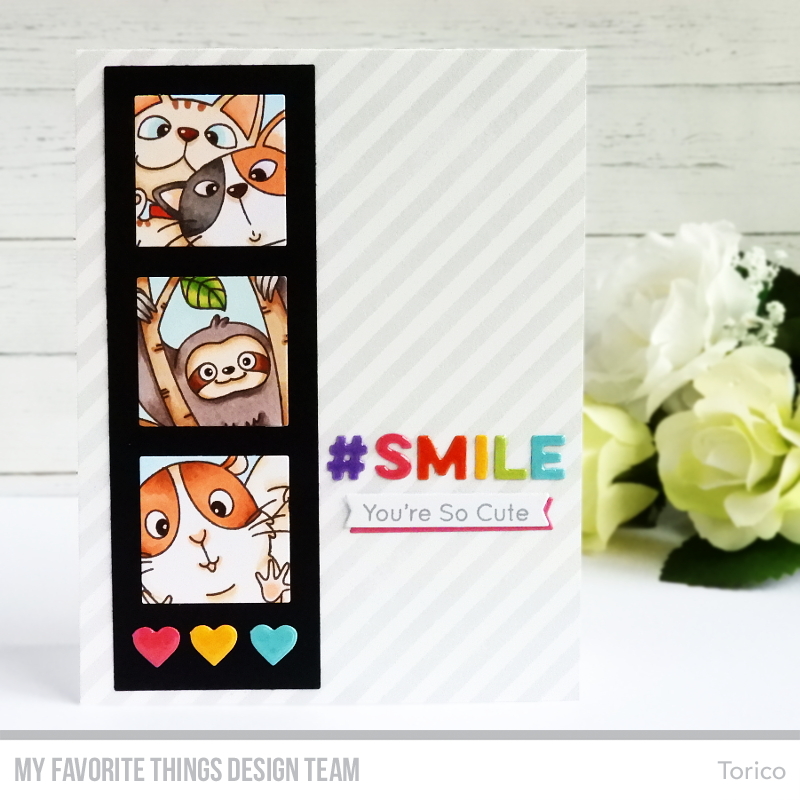 You'll immediately click with this adorable set and say *CHEESE*!